Innovator. Entrepreneur. Dreamer. Steve Jobs leaves behind a legacy that few can match, making the world a little easier and more connected. As one of Apple's co-founders, he wasn't scared to take chances and make decisions that others thought were nuts. But he made them work. Over the years, Jobs didn't actively market himself as a celebrity. It was the products he had a hand in developing that did it for him. 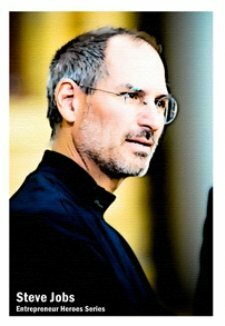 In many ways, he was the corporate face of Apple, presenting their latest innovations and standing up for their value in the world. But he still took a step back and let the computers and technology be the stars at every unveiling. Despite his high profile, collectors need to do a little legwork to build a Steve Jobs collection. His autographs are extremely rare, he had but one trading card from an obscure set and he wouldn't lend his image to other licensed products. Here is a guide to some of the Jobs collectibles you can find and what to look for to make sure the items are authentic and complete. Do you have a Steve Jobs rookie card? Probably not. He has appeared in just one card set. Entrepreneur Heroes was created by Toronto entrepreneur Evan Carmichael. He invited more than 30 popular business bloggers to select one of their own personal heroes for a card. Jobs is the second card on the checklist. He also appeared on a second gold-bordered card that was only available as a pre-sale incentive. People who bought five packs or more before the set's release received either the special Jobs card or one of Apple co-founder, Steve Wozniak. The set was originally released in the first half of 2010 but packs of five cards can still be purchased here. The minimum order is three packs. All proceeds from the sale of the cards go to Kiva to offer micro-loans to entrepreneurs in Africa. Single copies of either of the Jobs cards have been offered over the last several months. One thing that Jobs didn't do a lot of was signing autographs. Even before his passing, Jobs' signature was one of the most valuable in the industry. 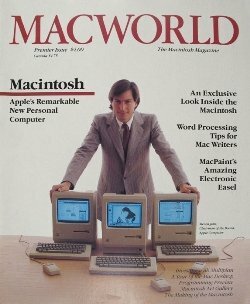 Last week, the first issue of MacWorld magazine signed by Jobs and fellow Apple co-founder Steve Wozniak didn't meet its reserve after bidding soared past $1400. This auction aside, there's not a lot of historical data to draw from. In 2003, another MacWorld magazine signed by Jobs saw bids reach $2,274, but, again, failed to reach the reserve. Granted, there is some significance in the magazine itself, but not a couple thousand dollars worth. Because Jobs' autographs are so rare and valuable, collectors must be careful if they have an opportunity to buy one. Professional authentication would be highly recommended before making any purchase. Collectors also need to be aware of the fine print that's in many auctions. Do a search on eBay for Steve Jobs autographs and you'll likely turn up a handful of results. Look a little closer. If the seller's on the up-and-up, they'll include "reprint" in the title. Others aren't so straight forward and bury the fact that what they're selling is just a picture they've printed off their Lexmark that happens to have a copy of Jobs' autograph. Immediately following Jobs' passing, one such reprint autographed photo saw bidding soar towards $4,000. Beware that these reprint photographs should carry no collectible value. Those that wish to buy one should do so simply to enjoy it rather than expect it to gain value. As the head of one of the world's most recognizable brands, Jobs has appeared on the cover of many magazines. The most appropriate one is the previously mentioned premier issue of MacWorld. Published in 1984, the cover pictures a young Jobs standing over three newly unveiled Macintosh computers. Although a couple sold for more than $300 immediately after his passing was reported, others are available for $250. 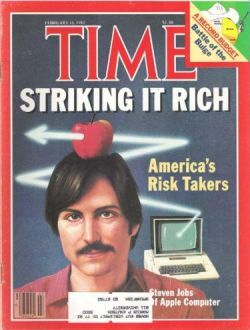 Expect to spend around $200 for the February 15, 1982 issue of TIME, which features an illustration of Jobs with the caption, "Striking It Rich: America's Risk Takers." 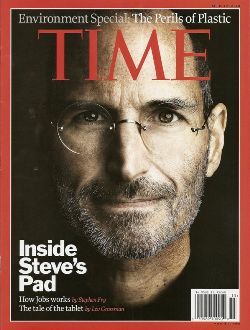 He also appeared on the cover April 12, 2010 with a more classic portrait and the promise of a couple of issues about both Jobs and the iPad. Let's not forget where Jobs made his greatest mark. Those old computers that you used to program on and play simple games, they can be worth a bunch. Last month, an Apple IIc from 1984 went for $2,500. An original Macintosh M0001 running at a whopping 128K went for $1,250. In the coming years, early generation iPods and iPhones could also find themselves in demand on the secondary market. When buying computers, things to consider include the model, whether it has all the proper cables, cords and manuals, and if the box is included. Of course, a working computer carries much more value than one that's little more than an ornament. 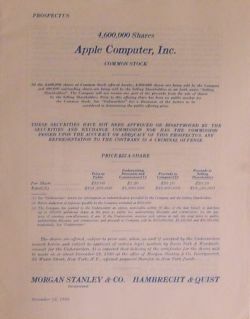 A 1980 Apple Stock Prospectus closed on October 2 at $376. M.I.C. 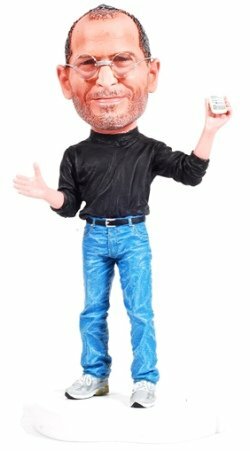 collectibles marketed a Steve Jobs action figure last November, but Apple quickly shut them down. M.I.C. tried to bring the figure back, this time as a ninja mask-wearing CEO of a company called Pineapple. Apple saw through the mask and, again, caused them to stop. That hasn't stopped some of the highly detailed toys from being offered online. 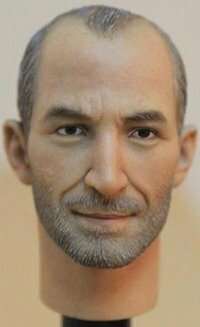 For those who might not want to go for the whole figure, there are also many Steve Jobs doll heads listed that can be used for custom figures. 9. “That’s been one of my mantras — focus and simplicity. Simple can be harder than complex: You have to work hard to get your thinking clean to make it simple. 10. “Picasso had a saying: ‘Good artists copy, great artists steal.’ We have always been shameless about stealing great ideas. In 1985 at the Houston TX computer and electronics show, it was the time Microsoft was developing integrated packages for Apple Mac. I had bought a small company in Brownsville TX that had developed such a package, I had dinner with Bill Gates (I don’t know if they remember), ultimately we were not selected for further development, but I was awarded an Apple Bronze Bell from Bill Gates, Steve Jobs and John Scully. I would like to find out what type of value this may have? I have a picture that I can send (it won’t attach here). Check out my rookie card on ebay i just found it a few days ago mint condition.